Each of VERABELLA's unique facials is a pampering, purifying, healing experience. Customized to meet your complexion’s specific needs, our facials feature therapeutic professional-grade products specially formulated from an exclusive blend of state-of-the-art equipment, natural botanical ingredients and active aloe vera. All of our fabulous facials are unique to you. Our Classic Verabella Facial (or “Mr. 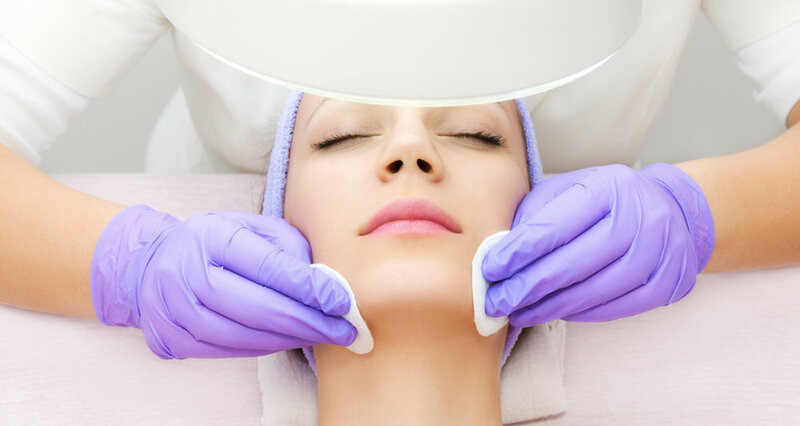 Verabello” for him) is our most popular, and a variety of add-on options from our Enzyme Peel Bar to Micro-DIAMOND-Brasion and Perfect Lift Microcurrent are available. Plus, our Facial Club offers exceptional savings and perks! Below the scheduling link is an outline of our Classic Verabella Facial for an idea of the pampering to expect. Whichever services you opt for, make yourself at home: We can set the music to your preference, charge your phone and tailor your treatment—so you can focus on feeling cozy and comfortable while we do the rest.